Mostly we love it because it’s the first time we have both of our boys in something like this (Jess tried not to think about what we were exposing Andy to on that arm). They handled it like champs. 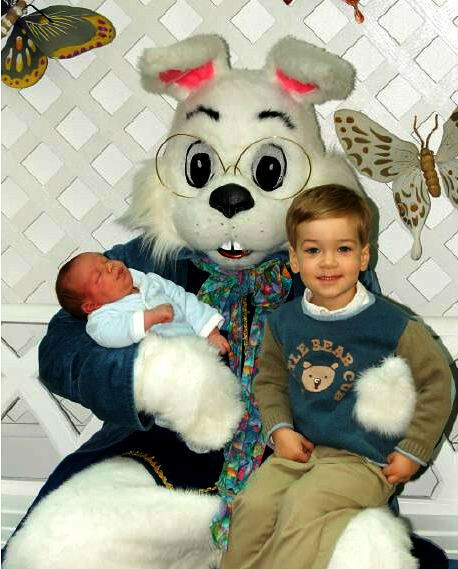 After it was all over, Caleb said “Mommy, is the Easter Bunny real or pretend?” When we asked him what he thought he said “I think he’s just pretend.” Looks like we have a cynic on our hands. We had a fantastic Easter! 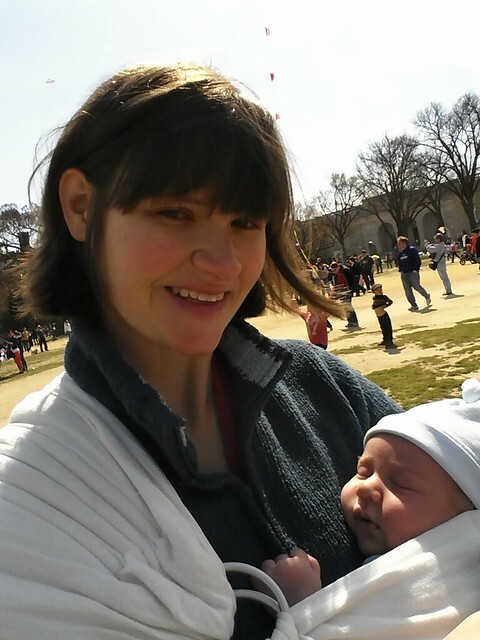 It’s so different from our Easter just after Caleb, where we had managed a dinner on the porch – the first we had cooked – and were otherwise completely overwhelmed with the new life entrusted to us. This time, we hardly missed a beat. 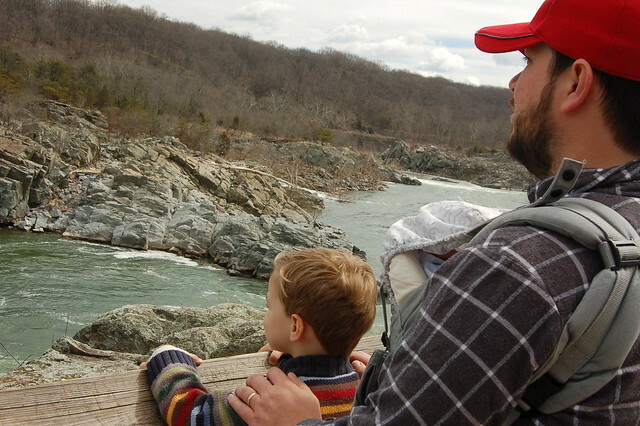 Justin, well aware that this was one of the hardest weekends of the year for him, took Friday off as a calm before the storm and we took a drive to Great Falls State Park in Virginia to have some outdoors time. It was a beautiful day. 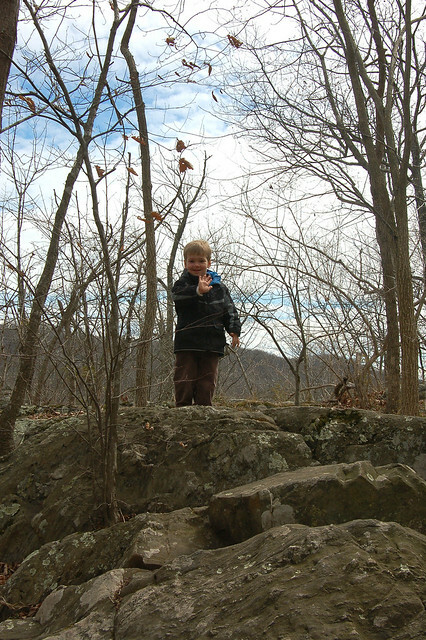 Caleb climbed over every rock and on every fallen tree he passed. 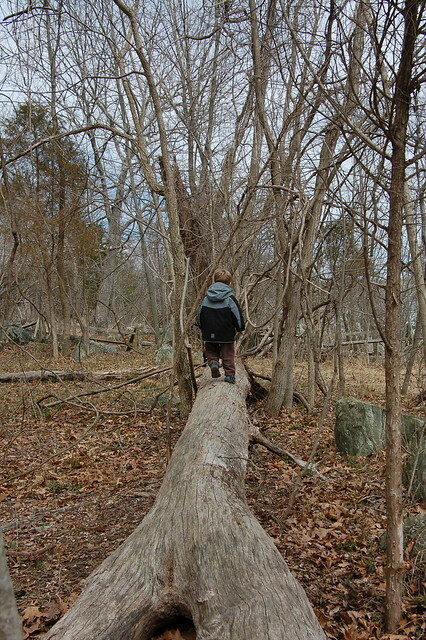 At first we tried to hurry him along so we could finish our loop, but eventually, we surrendered to his pace and just let him enjoy the outdoors. It was the right move. So we just enjoyed the experience as a family and let go of the agenda. And soaked in the view. And it was such a nice moment as a family. 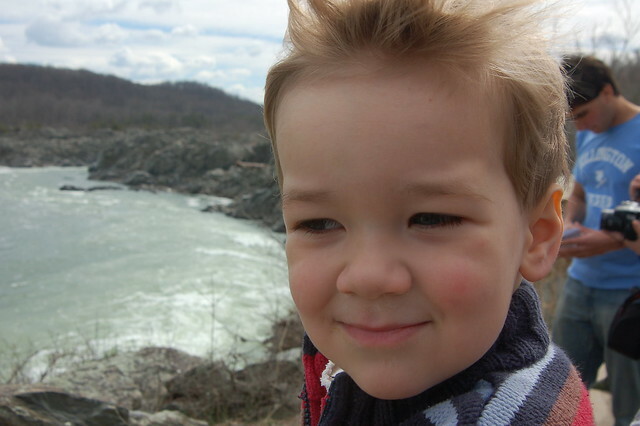 Right up until he threw rocks at some kids (after being pointedly warned not to throw rocks) and we hauled his bottom RIGHT back to the car and went home. At times dragging his limp screaming tantrumy self and getting “that look” from other hikers. We were not deterred by either; Marpepps don’t play that. 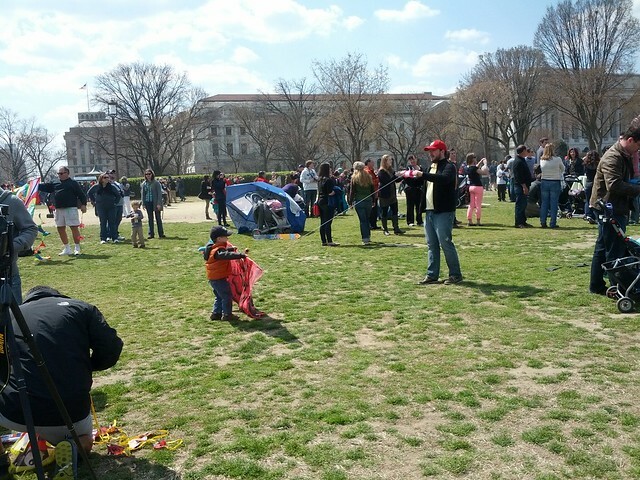 The next day was equally as beautiful so we got out the kite and braved the Metro on the weekend to hop down to the National Mall for the annual cherry blossom Kite Festival. 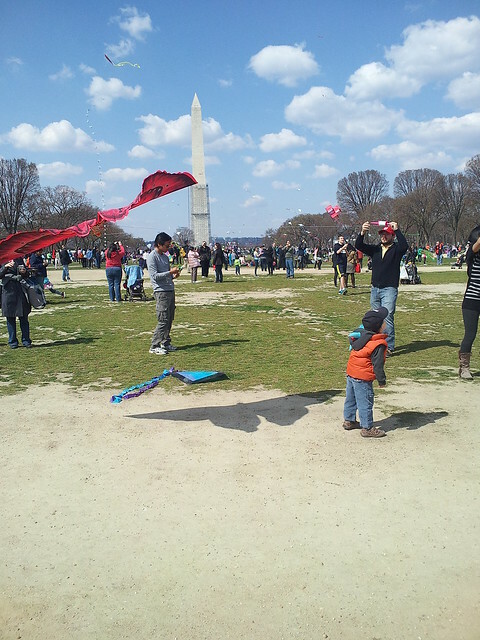 Caleb and Justin were determined to get Jess’s 20 year old craft kite into the air. After several tries, they succeeded! 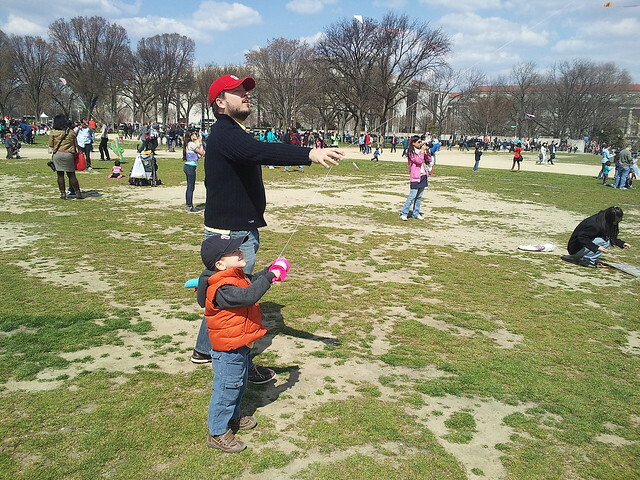 Caleb got his second lesson in kite flying (not bad for a city boy). 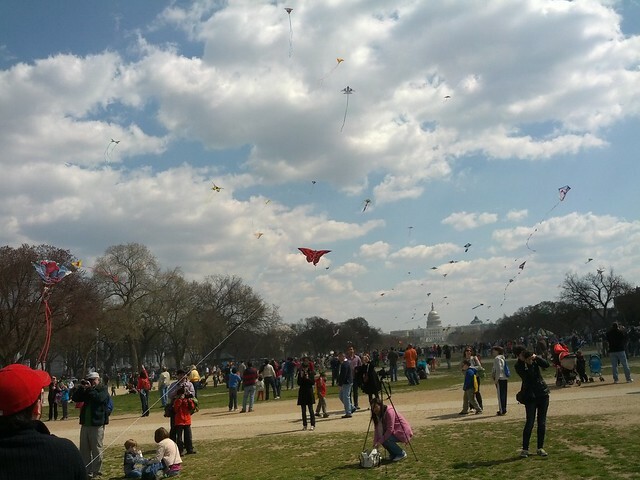 It was so beautiful to see all those kites with the nation’s capital in the background. Andy slept through the entire thing. On Easter, Jess was 5 minutes late getting into the service, but this year, she got BOTH kids in their finery to the early morning service ALONE (Justin left long before). She then managed to get Caleb lunch with the baby, get him home and down for his nap, and make an entree and a side just in time for Justin to get home from work to attend Easter supper at their favorite family in DC’s house. They were amazing hosting 8 adults and 9 kids with a beautifully set table and an Easter Egg Hunt to boot! The kids were heart melting and the chaos was the best kind – the kind that makes you know there’s a lot of love in the room. 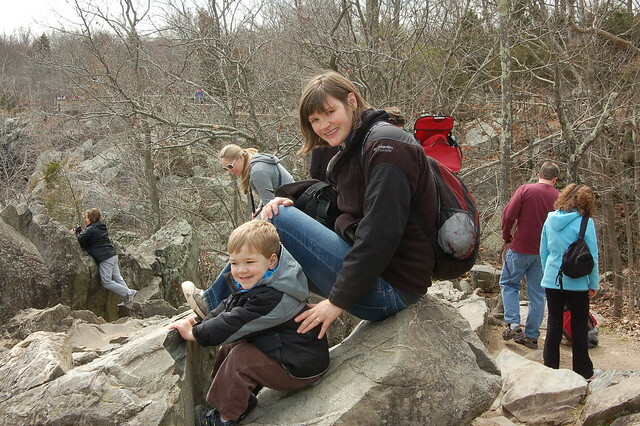 We prefer this whole second time around, even with the craziness of a preschooler added to the newborn routine. The first was such a transition. This time, it was like Andy was always supposed to be here, and once he arrived, it just felt right. While having a second has some major challenges, particularly in the balancing department, it’s a lot more fun because you hardly miss a beat. This Easter weekend was everything we love about Easter – celebrating and sharing the rebirth of the season and God’s triumph of justice and love over death. We covered pretty much every kind of church there is (for us) – the outdoors, our congregation, and our closest friends. 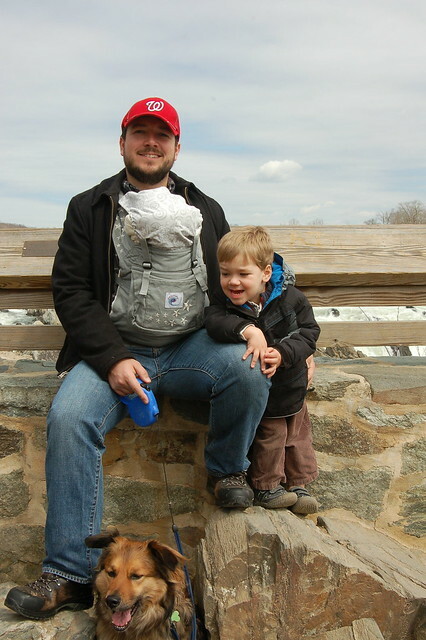 It was fulfilling to have that ability even with a 3 week old baby – he fits right in, and certainly, our family is better for him.